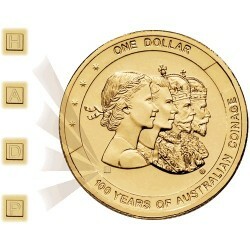 2010 Decimal Coins There are 41 products. 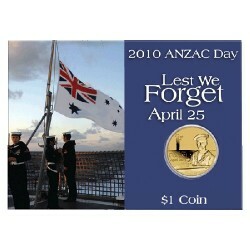 2010 $1 Anzac Day Coin - Royal Australian Navy This is the second release in The Perth Mint's annual ANZAC DAY $1 coin program. 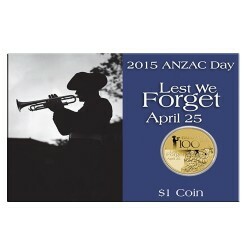 This release pays tribute to the Royal Australian Navy and all who have or currently serving. 2010 $1 Young Collectors Blackbeard Pirate Uncirculated Coin in Pack The Young Collectors releases are aimed at 8 to 14 year olds, has developed strongly since it's inception in 2008. 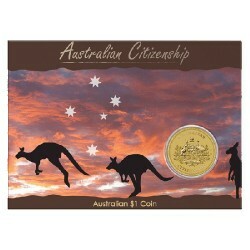 2010 $1 Australian Citizenship Al/Br in Perth Mint Card The Perth Mint has released the second issue in it's annual Citizenship coin with this fantastic Citizenship uncirculated $1 coin. 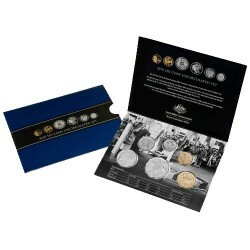 2010 $1 100 Years of Australian Coinage 4 Coin Set Al/Br A first for the Royal Australian Mint, this year's theme 100 Years of Australian Coinage has been presented in a single pack. 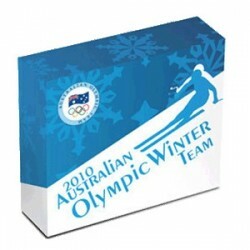 2010 $1 Australian Winter Olympic Team 1oz Silver Proof Coin Australia will be competing at the Winter Olympics in Vancouver in 2010. 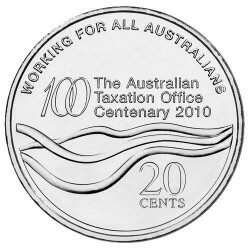 2010 20c Australian Tax Office Centenary Uncirculated Coin. 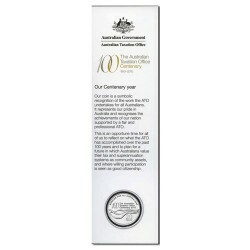 The Australian Taxation Office will celebrate it’s Centenary on 12th November 2010. 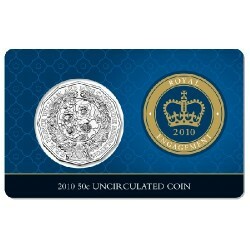 2010 50c Royal Engagement Unc Coin On the 16th November 2010, the Prince of Wales announced the engagement of his eldest son Prince William to Miss Catherine Middleton. 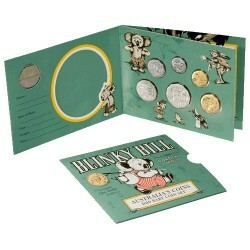 2010 Mint Set 6 Coin Featuring all 6 circulating coins in one convenient set. 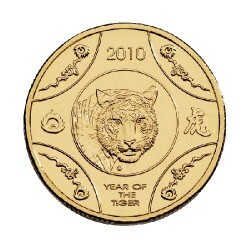 2010 $1 Year of the Tiger Uncirculated Al/Br Coin The Royal Australian Mint has released the fourth in the Chinese Lunar Series.